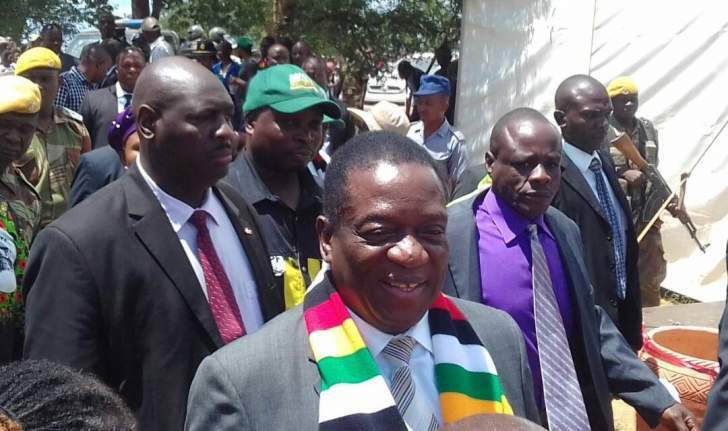 President Emmerson Mnangagwa is at the Gwayi Shangani Dam in Hwange as part of his programme to assess incomplete infrastructure projects. The President is being accompanied by his deputy, Rtd General Constantino Chiwenga, the Speaker of the National Assembly Advocate Jacob Mudenda and senior government and Zanu PF officials. After his assessment of the project, Mnangagwa is expected to address party supporters at a rally before proceeding to Bubi for a similar programme. Meanwhile, Zanu PF supporters from Binga, Hwange and Lupane have arrived at Nabushome Primary School where Mnangagwa will address them.